In its recent report, SLP International revealed that, among the four different landed property types, the values of freehold cluster homes (strata landed homes) rose the fastest, faster than freehold non-strata landed, 99 year-leasehold strata landed, and 99-year leasehold non-strata landed homes. This encompasses the period during the first market boom years, or the 1st half of 2004 up to the 1st half of 2008. On the other hand, for the subsequent market boom years encompassing the first half of 2009 to the second half of 2013, the values of the 99-year leasehold strata landed homes rose the fastest. The appreciation values of freehold non-strata landed homes ranked second for both of these market boom periods. To analyze the price gap between strata and non-strata landed homes, their respective land tenure groups were individually inspected. This analysis showed that on an absolute value basis, the prices of strata terraced houses were higher than those of non-strata ones. According to Nicholas Mak, executive director of SLP International, this may be explained by the higher number of floors for the former. Some would have up to three levels, on top of a basement and an attic. For instance, a typical strata semi-detached house at the Whitley Residences offers an average total floor area of 6,000 sqft across 3 levels of living space. In addition, these types of housing projects are developed by property developers, resulting into careful studies conducted for maximization of pricing. This is in contrast to the individual titles owned by individuals or single families without help from any organized company. This could then further explain the S$329,205 difference between the average median prices of 99-year leasehold cluster homes as against non-strata landed houses, and the S$110,147 difference between the average median prices of freehold cluster houses as against non-landed strata homes. Moreover, the same gap applies for the 99-year leasehold terraced strata homes and the non-strata ones, a gap even made larger by the launch of Hillcrest Villa, a 163-unit development in Bukit Timah. The gap was said to have been as large as S$1.5 million, albeit being narrowed down later on. Conversely, the case for freehold terraced homes told a different story in that it had reversed values during the years 2011 and 2012. Mr. Mak said that this could be explained probably by the relatively lower proportion of subsale transactions for strata terraced homes. This is detrimental to the average median price of such landed property as subsale transactions are typically higher than other types of sales. In any case, the median price of freehold cluster homes had an annual increase of 15.4% during the first market boom years. Added up to 4 years, this resulted in a staggering 77.3%, which is the fastest among all four landed home segments. Take Casa Fidelio in Siglap for example. In 2004, it was sold for S$760,000. 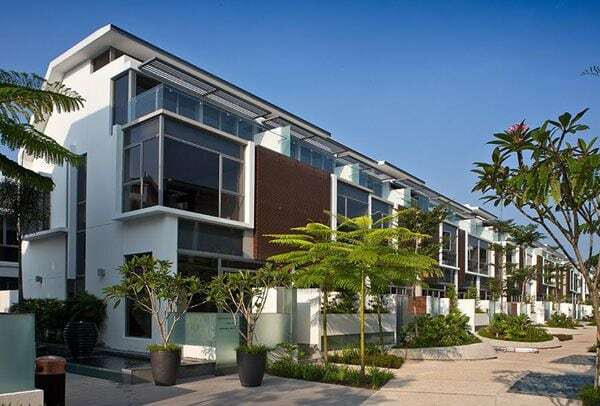 On 2008, or only after 4 years, it was already resold at S$1.18 million. That is a 55% gross profit only after 4 years! On the other end of the spectrum, the 99-year leasehold non-strata landed homes had the slowest price growth at only 7.7% in 4 years. Mr. Mak explains that this could be due to the already relatively high median psf at $435 during the beginning of the first market boom. This is in contrast with 99-year leasehold cluster homes, which psf rose from $357 to $813 from the first to the second market boom.